Disneyland and Disney World – when will they cost too much? The cost of admission at Disneyland and Disney World has been rising for decades. 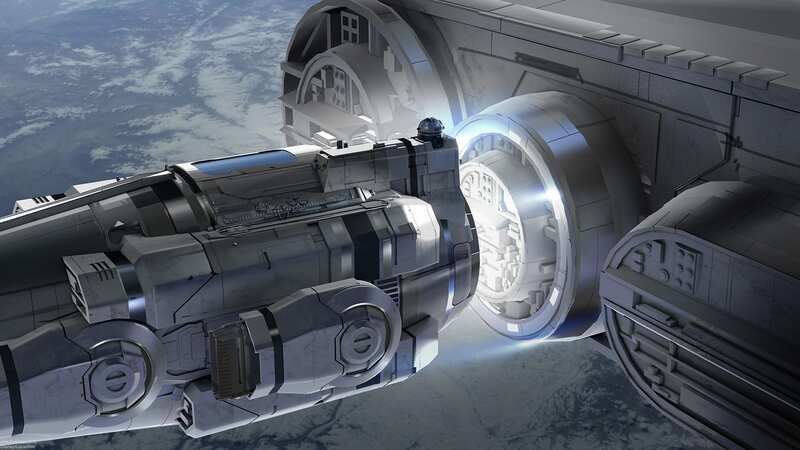 With attendance growing and Star Wars: Galaxy’s Edge opening this year, Disney is delivering. However, for the entrance fee, how much is too much? 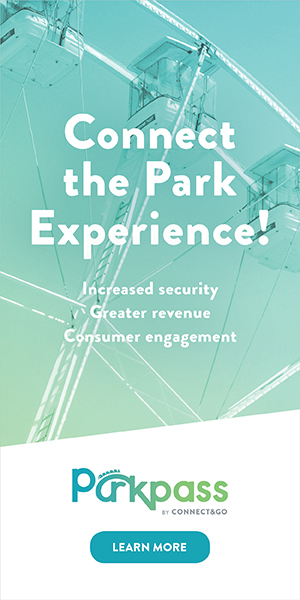 While there are many differences between a Disney theme park experience and a regional park experience, the one that comes to mind first for many these days is the cost. I’m not talking about the cost to travel to Orlando or Southern California from wherever you live for a Disney theme park vacation, or the cost of staying in a hotel, but just the simple cost of admission into the park. Unlike your average regional theme parks which raise their prices a little bit every few years, Disney has been raising their ticket price on an annual basis every year since the late 80s. Things changed in 1982. This was when Disney dropped the A through E Ticket system at the parks in favor of a pay-one-price admission cost. Back then a ticket into Disneyland cost just $12 and in Florida (once Epcot opened) a ticket into either Orlando area park was $15. From then on the prices slowly began to climb. Sometimes it was just a minor increase. Sometimes it was much larger. This was especially so when major new attractions or even a new theme park were added to the resort. By 1990 the cost of admission had risen to $25.50 in California and $31 in Florida. This marked the start of Michel Eisner’s so called “Disney Decade” which saw rapid expansion linked to inevitable price increases. In 2000 the cost of admission into Disneyland had hit $43 and Disney World was just shy of $50. Ten years on and the trend had continued. The price of admission had jumped to $76 at Disneyland and $82 in Walt Disney World. At this point it became clear that the price increases would not be stopping. This was despite the fact that the rest of the theme park industry had tried to follow suit. However, these price increases had been met by customer resistance. The sole exception was the Universal theme parks. They had managed to follow Disney’s price increase strategy year-after-year, pulling prices ever towards the $100 mark. At the time, I recall thinking that surely even Disney would begin to see some price resistance when they hit the $100 mark. Perhaps they would reach some kind of invisible glass ceiling. But I was wrong. In 2015 a ticket into Disneyland hit $99. Furthermore, a ticket into Walt Disney World climbed into the three-digit mark when it rose to $105. From there the price increases have only become steeper with the adoption of tiered pricing levels. The result is that the cost of admission into Disneyland in the Summer of 2019 hit an all time high of $149, or a visit into a Walt Disney World park at $129. Logic indicates that at some point the cost of admission is going to get high enough that attendance will be affected. Customers could resist the new higher, prices and take their money elsewhere. But at what point would this happen? So far it has not. Attendance at Disney theme parks is not only holding strong, but expected to climb through the roof starting in 2019. 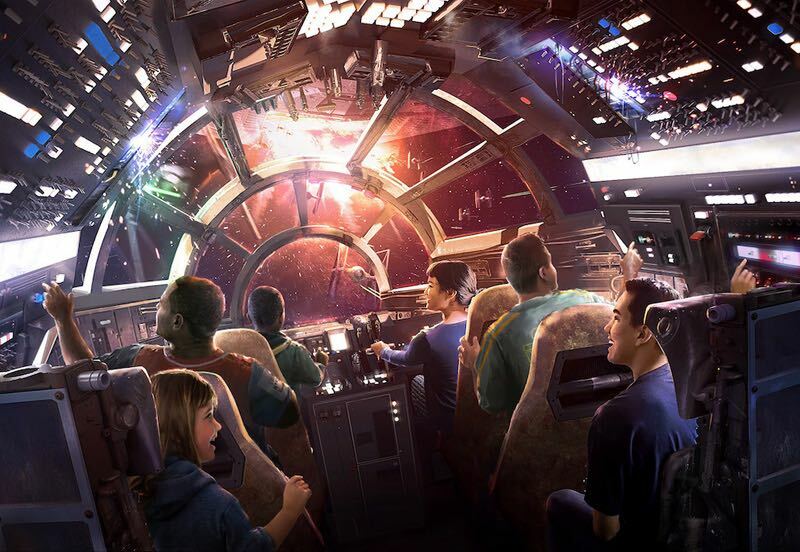 Crowds are expected to boom with the introduction of the new Star Wars: Galaxy’s Edge themed lands. It has even been suggested that the opening day of the new Star Wars land in Anaheim could see 200,000 people and 10 hour queues. While the math is solid, what it doesn’t take into consideration is the unpredictable human factor. Because at some point, inevitably, even the biggest Disney fans out there will decide when it will simply just cost too much. 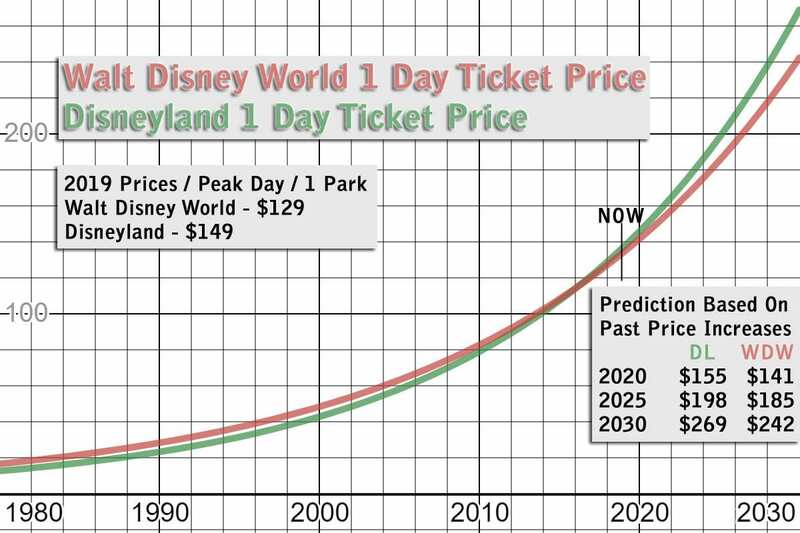 The deeper and much more interesting question is; What is the historical Price Elasticity of Demand of a ticket to a Disney Park? Is the bigger story that a visit to a Disney Park has actually been *undervalued* over the past half century? I’m sure Buzz Price would have known the answer to that. Your so right! I follow you in screamcsape and like your opinions and you hit this one right on! I doubt even a 200 entrance fee would stop people, and Disney knows it. Maybe the sooner we stand up and protest, the sooner we stop the ticket prices busting thorough the glass roof you talk about. Great article! I agree with you Lance, there has to be a breaking point. But people seem willing to sell their soul for a Disney trip. Thanks for the great feedback and comments… as well as those I’ve seen in take place elsewhere in Social Media as well. For many, the price has already gone too high for their families to visit any long, while others still hold out. It was also pointed out elsewhere that perhaps the parks may not be quite as crowded by regular tourists as you might thing, due to the rise of annual passholders who find access into the Disney parks more affordable due to the monthly payment plans. In many cases these same passholders may opt to not purchase expensive annual passes if they had to pony up all the cash up front as a single large-sum purchase item. I think the pricing goal is to get rid of day tourists not staying on property. The high admission price becomes “manageable” when a multiday pass is bundled with a Disney hotel package. That’s a real loss for me as I tend to prefer staying off property with park visits as a smaller piece of a broader family vacation. I would like to see that graph vs. inflation. I mean I could point to a gallon of milk and say it used to be 5 cents. That means nothing without adding inflation. I’m sympathetic to those on a budget, but personally I view a Disney ticket as 1) a good bargain for what you get from a 12-hour day at the parks, and 2) a mandatory expenditure in my own budget for at least a few days a year. I also find that the #1 negative factor affecting my trips is the crowdedness. So to the extent that raising ticket prices drives off some marginal visitors, I view that as a good thing. Keep jacking ’em up! I traveled once a year to DL or WDW from Germany. I stopped Disney only trips to the US a few years ago and this year get my Disneyfix somewhere else. A combined trip to Hong Kong and Shanghai cost half the money and is the same fun. 2020 Tokio. It has already begun to affect our decision making. We went in May and after seeing the bill have pushed 2020 to 2021 at the very least. We have begun looking at alternative destinations which isn’t a bad thing at all, but we have a serious Mouse addiction and when someone like me is questioning when they can afford to go next and whether it is worth it that is crazy to me. We went for 12 days and spent close to $14,000 CAD. with a 75 cent dollar it is tough to justify when I can get two weeks on the beach for a family of 4 for $5000. I would fly there every weekend if i could but at some point it just has become too expensive. a trip shouldn’t cost the same as a small car. Having said that if I had the money I would go every year as I love the place and my family does as well. Many great memories there. I am not a doom and gloom person who thinks the place has gone to hell. I loved last years trip as much as my trips 20 or 30 years ago. SO hopefully our dollar strengthens and they calm down on the penny pinching. But as a business money talks and if you can get more for your product and keep more people coming through the door then why wouldn’t you? Pricing has definitely stopped our visits. for almost a decade we visited at least annually and sometimes multiple visits. For the past few years we have not gone and probably wont for a while after the new stuff is not new anymore. What I see happening is a point where attendance hits a stagnation point but still is ridiculously crowded and expensive. When that happens, i truly believe we will start seeing third shift tickets (ie. park closes and reopens at a later time between first close and morning for a separate admission at reduced prices maybe a few times a week. It will affect maintenance schedules but I think customers will be forced to accept seeing things being painted, etc. for a lower price and less crowds. It’s simple disney will continue raising prices so long as attendance keeps rising. 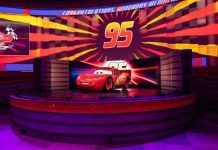 If it dips or it stalls, disney will hold a year on increasing prices and await attendance figures. If the attendance dips again they’ll consider reducing. But its all about attendance. This is where for florida Universal becomes a major player. Comcast refueling the theme park wars in florida again is a win-win-win for everyone. Win for disney, win for universal and win for fans of theme parks. We’re going to see awesome additions at both properties continue for years. 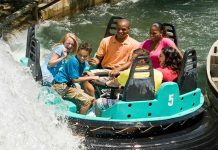 If Universal sticks to a more modest price, it will give the Florida bound family trip repeaters the option they need to continue their yearly adventures and stick within the budget they want. This could and hopefully will cut into disney enough to slow the price increasing before the 200 mark is hit. But at the end of the day WDW is WDW, there is a reason its the world and not a land. International visitor bucket list trips could still support the disney price increase structure that disney can actually turn a blind eye to repeat family Universal defectors. It’s something we’re going to have to wait and see pan out. Experience is set to trump price or product by 2020 (Walker). Disney are the masters of experience. While Disney tickets are comparably expensive to other parks, it pales when compared with the cost of a new iPhone. One day “spent” in a Disney Park packs way more punch in terms of joy, happiness and memories that last a lifetime than 5 visits to a Six Flags Park. There has never been a better example of the “build it and they will come” mantra and it baffles me given the success of Disney Parks that other’s have not ramped up their quality. No one outside of Universal Studios come close. To answer a question about inflation I did a quick look to figure out the answer. Going off of the article’s numbers a $43 ticket in 2000 would equal $62.70 in 2018 factoring in inflation. The price for that same WDL ticket in 2018 was somewhere around $130 (looking at the graph) so tickets are rising far faster than the average inflation amount. Blame a lot of that on minumum wage going up. The minimum wage hike is making everything go up, and it is going to $15 in California in by 2021. I think it is unfair not to also talk about the multi day passes. You article chooses to only talk about perk one day pass which most people do not buy. Talk about the ten day pass, it’s around 60 bucks a day. Compare that to going to a sporting event or a broadway show. In those cases you have had some entertainment for 2-3 hours rather than 10-15 hours of entertainment. When you walk around the disney parks/property you have to wonder how they do it for the money we all pay. 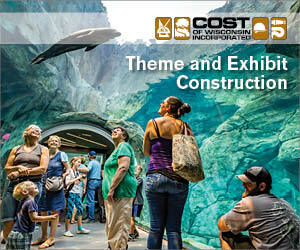 The landscaping, the live entertainment, the attractions and all of the cast members. Where else are you going to go to get that experience? It’s not the price people care about, it’s the perceived value of the offering. If you have visited Disneyland 10+ times in your life, you have probably experienced the difference between an overcrowded park and an empty one. Would you rather pay $100 to experience lines that average 1 hour in length or pay a premium for lines that average closer to 20 minutes? Young kids are stressful in long lines, on hot sunny days. If I pay $300 to go to the park on 3 days and the lines average an hour each, at best I’d get to go on 15 rides per day (45 total). If I pay $300 a ticket, I would only get to go one day, but assuming the lines shrunk to just 20 minutes on average, I would be able to go on 45 rides in that one day. The lack of wear and tear on my feet and not experiencing the stress of having little kids who are unhappy in long lines makes the one day experience far superior to the other. I think it will hit that point. When it costs a thousand dollars JUST to walk in the doors I think it will suddenly see people going NOPE. Right now it hits people hard but they have to take the kids who are screaming they want to go. I know of one family that literally had to save for an entire year to take the five of them to Disney for two days. One thousand for the two days, 2 nights in hotel, food and all the extras that come with attending the ripoff place ending up costing them over 3 thousand dollars to stand in lines of up to an hour and a half. So Disney is just being greedy and nothing else. They know they could drop the price to 50 bucks and still make a profit. BUT new attraction and they figure it is worth raising the prices to keep the screaming kids happy. 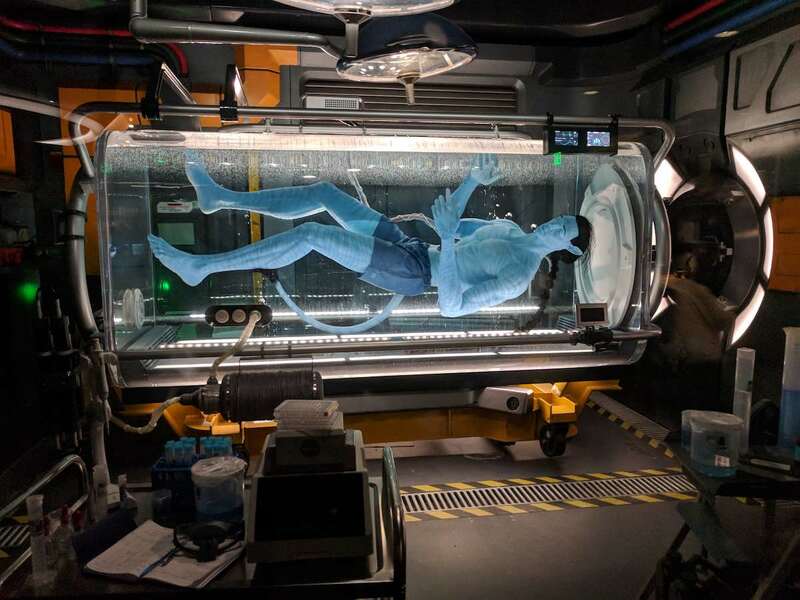 Walt must be doing a thousand RPM in his cryo tank.